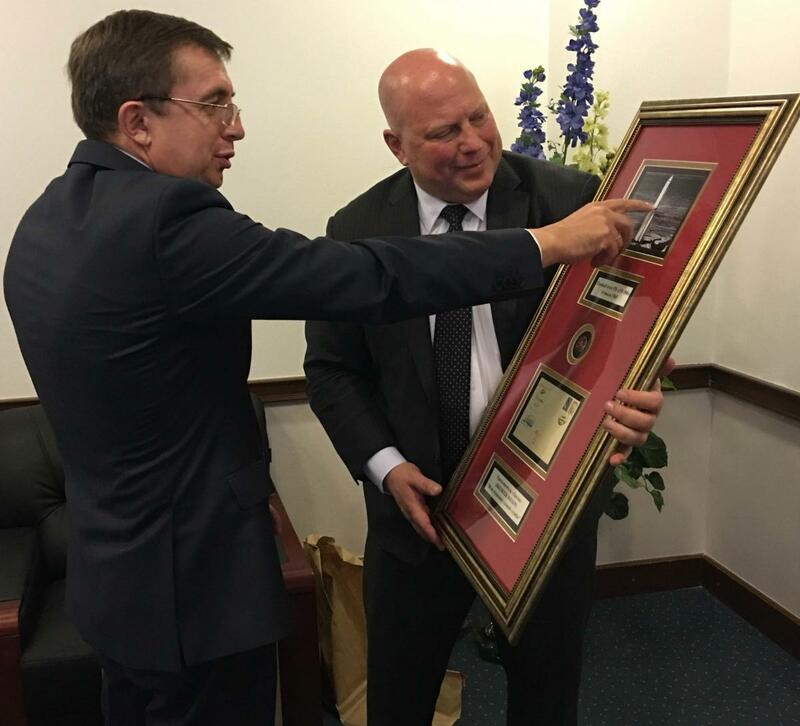 A special commemorative gift to honor the 50th anniversary of the venerable Proton launch vehicle was given by ILS President, Kirk Pysher to Khrunichev General Director, Andrey Kalinovskiy on December 17, 2015. 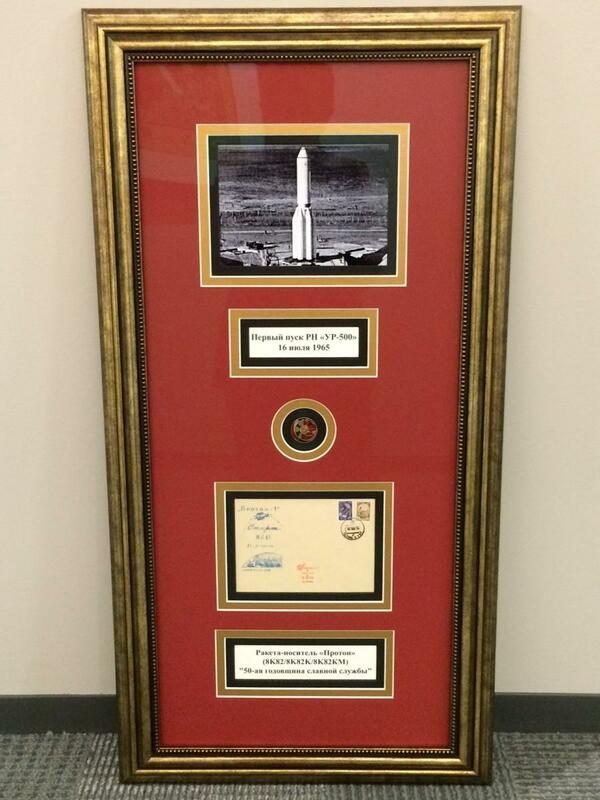 The framed display includes a photo of the first Proton on the launch pad just before lift-off on July 16, 1965, a commemorative pin and post-marked and stamped envelope from Baikonur on that momentous day. The gift was signed by the employees of ILS with thanks to all of the employees of Khrunichev, for their dedication to Proton over 5 decades of service.